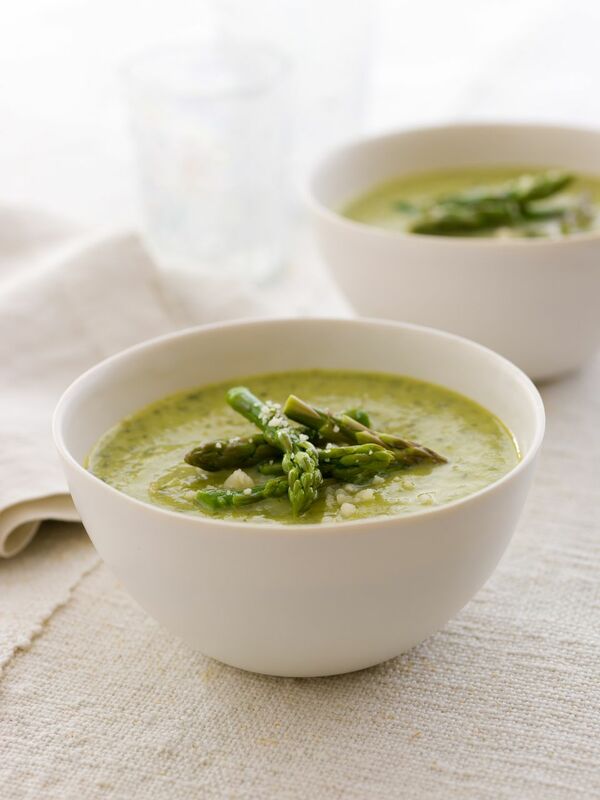 This flavorful asparagus soup is easy to prepare and cooks in the slow cooker. Rinse asparagus spears; cut into 1-inch lengths. If desired, reserve a few small asparagus tips to microwave or steam for a garnish for each serving. In 3 1/2 to 5-quart crockpot combine asparagus with the broth, green onions, and potatoes. Cover and cook LOW for 5 to 7 hours, until the potatoes are tender. Increase temperature setting to HIGH. With a blender or food processor, puree the vegetable solids in batches, with a little of the cooking liquid, until somewhat smooth. Return to the liquid remaining in the slow cooker. Stir in the seasoned salt and pepper, tasting and adjusting amount of seasoning to taste. Cover and cook on high 30 minutes longer. Serve garnished with a few cooked asparagus tips or fresh parsley, if desired.